Curtis D. Davidson, age 72, of Seaford, DE passed away on Wednesday, February 6, 2019. He was the son of the late Victor M. Davidson Sr and Esta Melson Davidson. He was also preceded in death by a brother, Victor M. Davidson Jr and 3 sisters, Sarah Boyce, Ruth Shieves and Delores Parks. Curtis retired from O. A. Newton in Bridgeville and worked for R D Grier Overhead Doors in Salisbury after that for a while. He was a veteran of the U. S. Army and a member of the America Legion in Seaford. 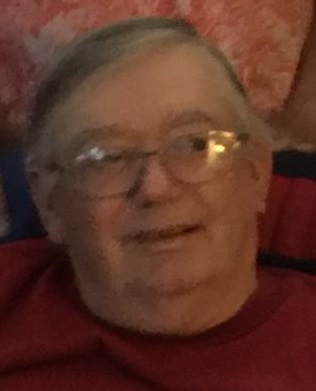 He is survived by his wife of 49 years, Darlene Lord Davidson, a son Curtis D. Davidson Jr, a daughter, Melissa Arnett (Timothy), 2 grandchildren, Chelsea Davidson and Kayla Arnett, 2 great-grandchildren, Gene Snell and Rhiannon Snell, 2 sisters, Martha Dinch and Anna Davidson and a brother Donald Davidson. Funeral Services will be on Monday, February 11th at 2 PM at the Cranston Funeral Home, 300 N. Shipley St, Seaford, where friends may call from 1 to 2. Burial will be in Odd Fellows Cemetery.